This book has had a huge impact on my life, but I find it really difficult to write a review without spoiling it for future readers. Because of this, the following is from the blurb. Rarely do I simply copy the blurb for a summary but nothing I could write about this book could describe it any better. Paulo Coelho’s enchanting novel has inspired a devoted following around the world. This story, dazzling in it’s powerful simplicity and inspiring wisdom, is about an Andalusian shepherd boy named Santiago, who travels from his homeland in Spain to the Egyptian desert in search of a treasure buried in the Pyramids. Along the way, he meets a Gypsy woman, a man who calls himself King, and an alchemist, all of whom point Santiago in the direction of his quest. No one knows what the treasure is, or if Santiago will be able to surmount the obstacles along the way. But what starts out as a journey to find worldly goods, turns into a discovery of the treasure found within. 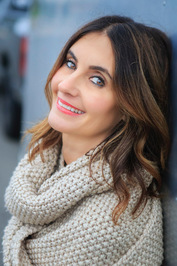 “Every few decades a book comes along that changes the lives of it’s readers forever”. The above quote was written at the top of the back cover and it really does ring true for me. After I read the book, I couldn’t help but read that sentence over and over. At the risk of sounding ‘hippy dippy’, I knew that this book would have a huge impact on my life. “The secret of life though, is to fall seven times, and to get up eight times”. The edition of The Alchemist that I have contains an Introduction from Paulo Coelho. At the end of the book there is a readers guide and an interview with the author which I found really interesting. Since that first reading, about eight years ago, I have read the Alchemist every year, in early January. This is when I set my goals for the coming year, and particularly for the first three months of the year. As with the first time I read it, with every subsequent reading, I feel very inspired. The Alchemist empowers me to be able to set goals that are outside my comfort zone, and to quiet those voices in my head that tell me that there is no way I could reach those goals. With every reading I get something new out of it. Whether it’s a quote that I hadn’t noticed in previous readings or a thought that comes to me while reading. There are many readers and reviewers who really dislike The Alchemist and I can understand why that could be. Some see it as a self-help book, but I see it as much more than that. For me The Alchemist is the book that I hold dearest. 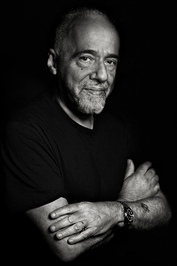 Paulo Coelho was born in 1947 in Rio de Janeiro. Before dedicating his life completely to literature, he worked as theatre director and actor, lyricist and journalist. In 1986, Coelho did the pilgrimage to Saint James of Compostella, an experience later to be documented in his book The Pilgrimage. In the following year, The Alchemist was released. Slow initial sales convinced his first publisher to drop the novel, but it went on to become one of the best selling Brazilian books of all time. Published by Harper Collins in 1993. Softcover 167 pages. Mystical fiction. Originally published in Brazil in 1988 in Portugese. Later translated into English and many other languages. 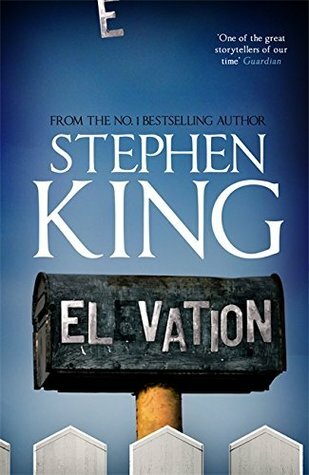 On a very hot night in the summer of 1965, Charlie Bucktin, age 13 is woken by knocking at his bedroom window. He finds Jasper Jones there, trying to wake him. Jasper is an outcast in the town. He is a bit rebellious, a loner and of mixed race. But when Jasper asks him to go into the night with him as he needs help, he goes along, even though he is terrified. Jasper takes him to his secret place in the bush where Jasper’s horrible discovery is revealed. Charlie promised to keep the secret but is weighed down by it. All that he knows about life so far, changes that summer. He constantly argues with his mother , falls in love and his relationship with his best friend Jeffrey Lu changes. Secrets are revealed and life is never the same again. Jasper Jones is a coming of age story set in a small town in Western Australia. It captures perfectly, life in small town Australia in the 1960s. The chapters are quite long, but the writing is beautiful to read. I did find the first half of the book quite tedious, as the characters were set up, and the tension and underlying simmering in the town were introduced. This seemed to take longer than I felt was necessary, and I just wanted to get to the story. But I did really enjoy the second half as it moved along quite quickly. Instead of showing 1960s Australia as very peaceful and nostalgic, this small town was revealed to be a place of prejudice, racism and intolerance. As the community confronted what was happening in their town, those ugly traits became worse. I’m sure this book wouldn’t be for everyone. It isn’t an easy read but if the time is invested to get into the story, the rewards are great. This story has been recommended as being Young Adult reading, but that confuses me. To me, Jasper Jones is heavy going and covers subject much to dark for Young Adult. I couldn’t get this book out of my mind for a long while after reading it. There is much written there to make the reader squirm and feel uncomfortable. The final scenes which I won’t reveal were gut wrenching and unforgettable. Jasper Jones has been described as Australia’s To Kill a Mockingbird. I’m not so sure about that. To Kill a Mockingbird is one of my favourite books of all time, and to me Jasper Jones doesn’t come anywhere near it. But possibly I am biased. Have you read this book. I’d love to hear your thoughts. I really appreciate the time it takes you to comment and promise to reply to all comments.